Jane Halloran Ryan is an American living in Ireland for the last twenty years. She has been doing her own family research for thirty years starting which began back when she was growing up in Connecticut and continuing it after she came to Ireland. Her own family research has taken her back to one of her paternal family homes in East County Clare where she now resides with her own family. 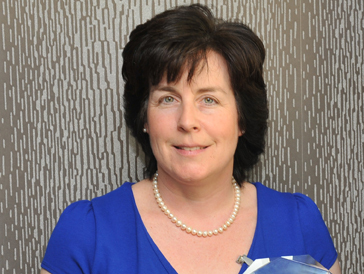 She has an undergraduate degree in Accounting from Fairfield University and she studied law in Dublin, becoming a qualified solicitor with the Law Society of Ireland in 1997. She practiced law for several years in Ireland in the areas of personal injury, conveyancing and probate and she has continued to work using her legal and accounting skills with community groups in the locality. She recently completed a Certificate in History of Family & Genealogical Research Methods from University of Limerick. She is a member of the Association of Professional Genealogists (APG), and a member of the Connecticut Society of Genealogists (CSG). In addition, she continues to be a member of the Law Society of Ireland as a non-practising Solicitor. Her legal experience combined with her genealogical experience, qualifications and interest give her the ability to provide a customer with a more varied and in-depth knowledge of their family history. She has also undertaken transcription projects as well as volunteered with Ireland Reaching Out, a national project that seeks to re-connect those with their ancestral parishes. She is currently the parish liaison for Tulla – Clare and she works together with a local committee assisting those trying to trace their roots and attempting to trace forward those who have left the locality.